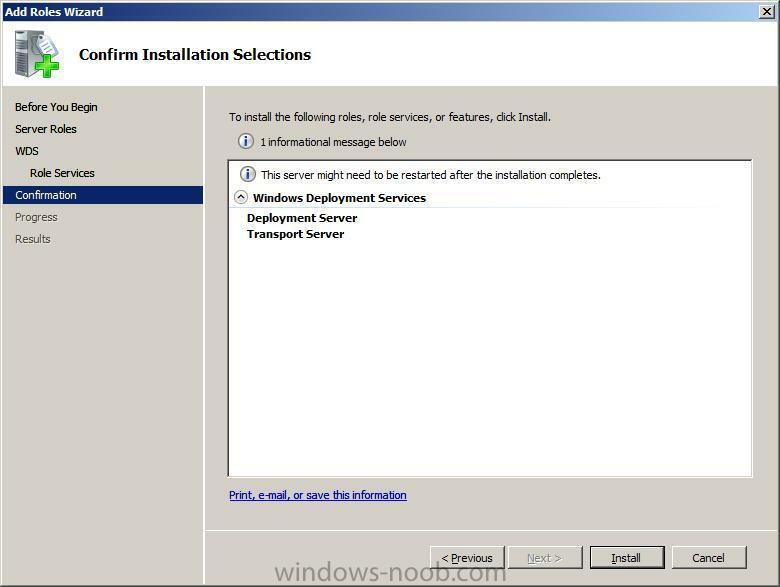 In Server Manager, Highlight and select Windows Deployment Services and click next. 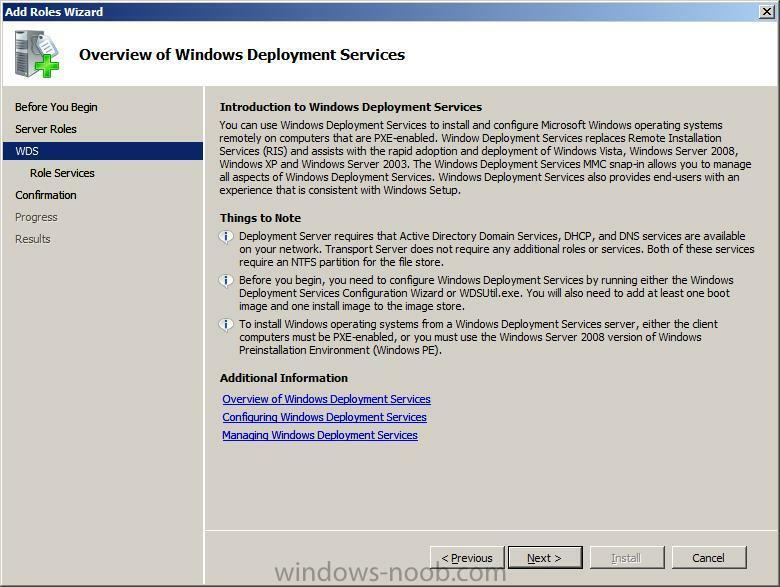 Before you begin, you need to configure Windows Deployment Services by running either the Windows Deployment Services Configuration Wizard or WDSUtil.exe. You will also need to add at least one boot image and one install image in the image store. 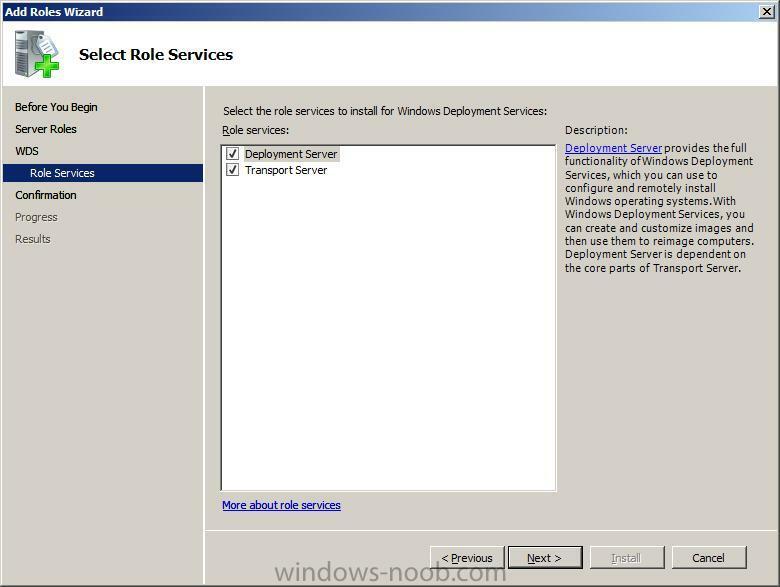 Click next and notice the two role services listed, Deployment Server and Transport Server, make sure they are both selected and click next to continue. 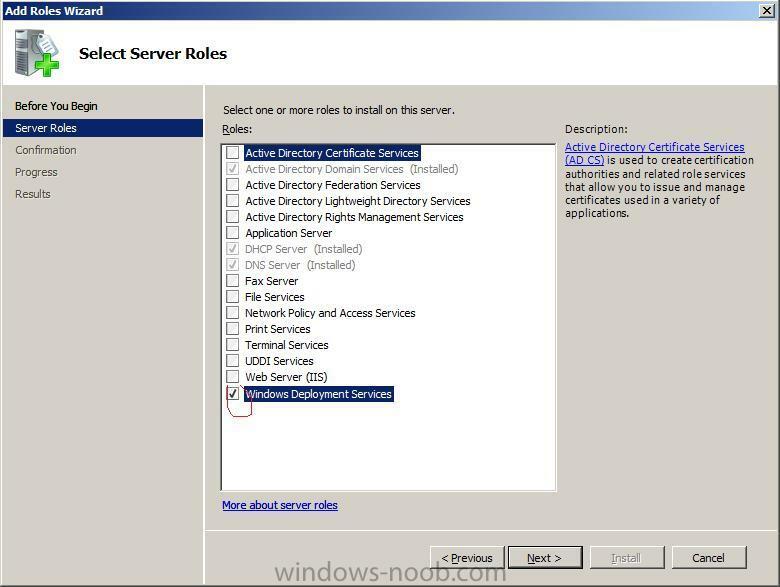 view the summary and click install to install the WDS role..
if you check server manager under roles you should now see the WDS role added.